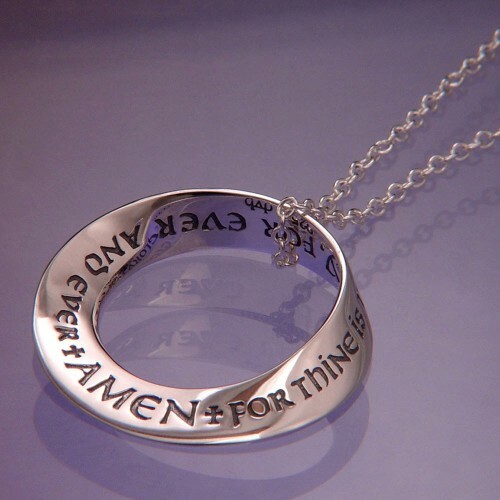 This beautifully engraved unending design mobius necklace hangs on an 18 inch cable chain with a spring ring clasp. Engraved are the words "For thine is the kingdom, and the power, and the glory, for ever and ever, Amen", as taken from the Book of Common Prayer of 1662. It has been cast by the lost wax method - an ancient method of fine jewelry production and made in the USA.